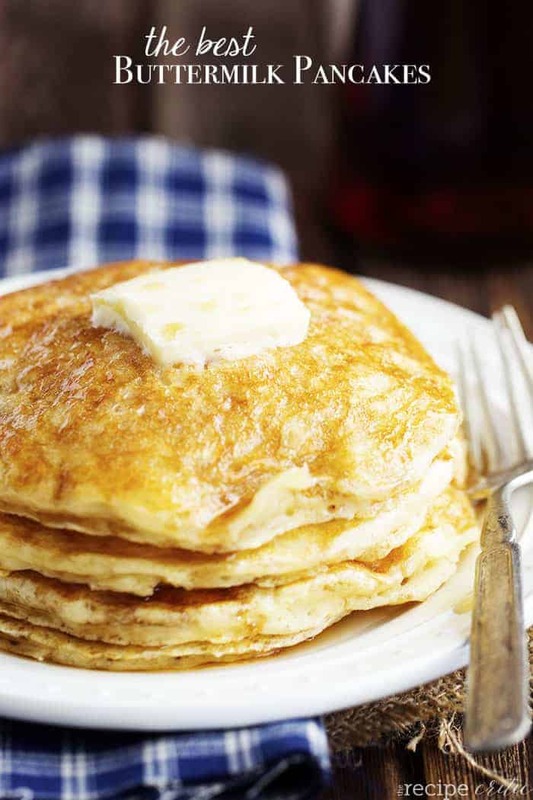 The best and only Buttermilk Pancake recipe that you will need! Perfectly fluffy every single time! We got to go last month to Disneyland as a family! It is such a magical and fun place to go. The weather was hot and sunny while we were there and it was the perfect weekend getaway. The park was decorated for Halloween and looked amazing! We celebrated my little boys birthday while we were there so this visit was extra special for him. They give you a birthday pin at the park to wear on your birthday. Everyone that works at Disneyland and passes you will wish you a happy birthday. My seven year old thought that that was pretty cool. Our favorite ride is still the Cars Ride and is worth the wait. We had the little baby and my husband just had knee surgery, so lucky for us we got on the rides really quick! 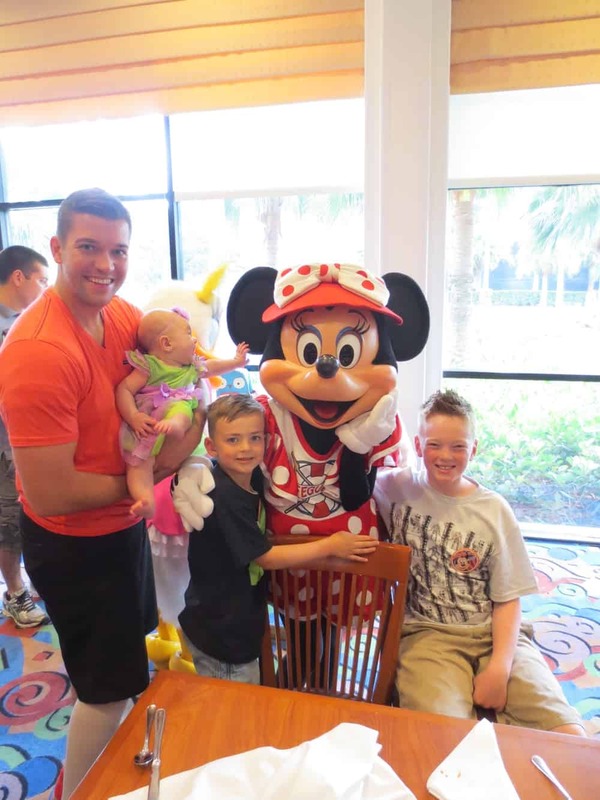 If you ask my boys what their favorite thing to do while on this trip, they will tell you that it was breakfast at the PCH Grill at the Paradise Pier Hotel. 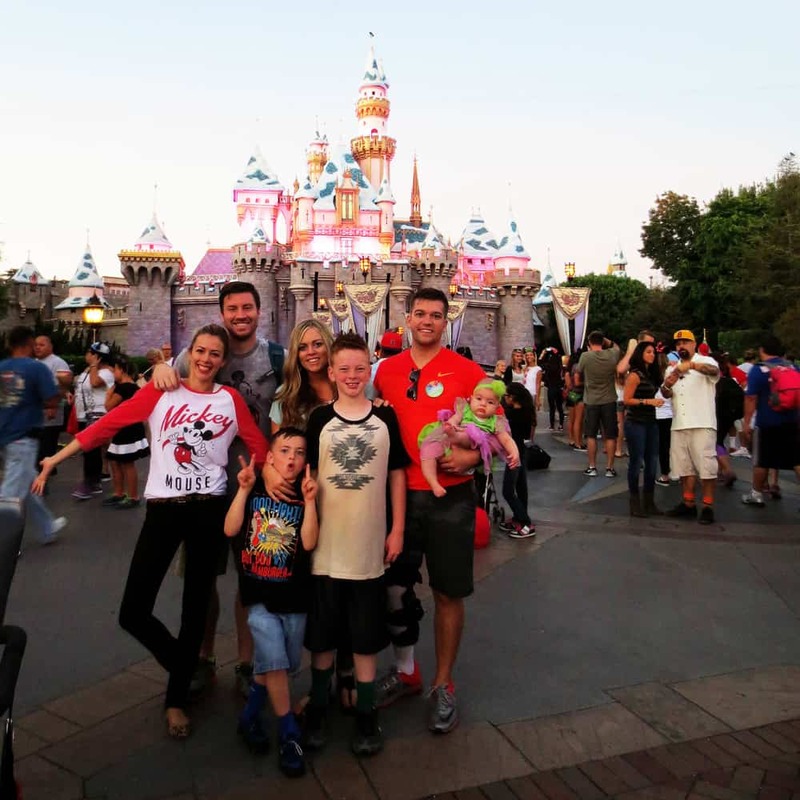 We went to Disneyland on a Saturday and it was so busy! They didn’t even have time to meet any of the characters because the lines were so long. The Surf’s Up Breakfast is the only place outside of the park where you can interact with Micky Mouse and other characters. They got to meet and interact with all of the characters one on one! The characters would all come to your table and visit while you were eating breakfast. Some of the characters that they met were Daisy, Stitch, Mickey Mouse, and Pluto. 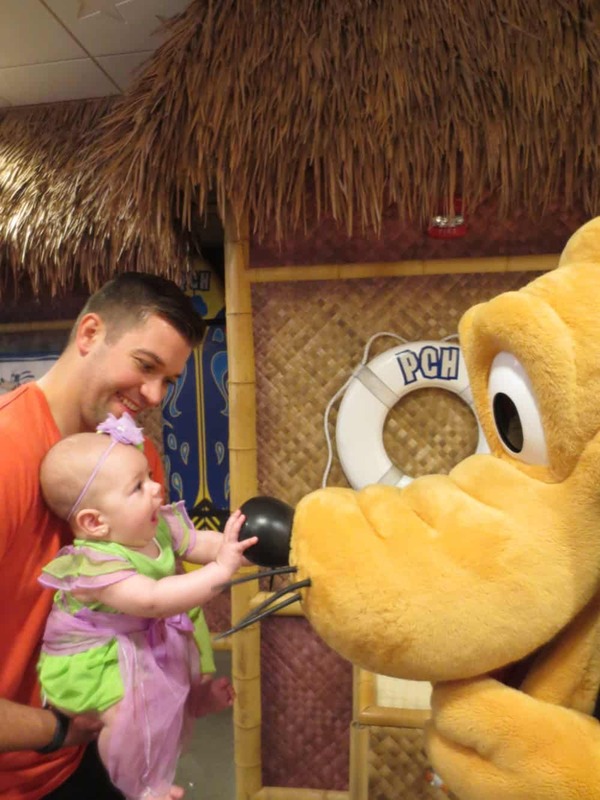 Even our little Tinkerbell tried to eat Pluto’s nose. She had fun meeting all of the characters as well! This is one activity that I highly recommend doing while visiting Disneyland. It is so interactive and fun and the service is incredible! It made such a fun family memory that we will never forget! We loved the breakfast buffet and our favorite part was the Mickey Mouse Pancakes. It inspired me to make the recipe for the best buttermilk pancakes today! 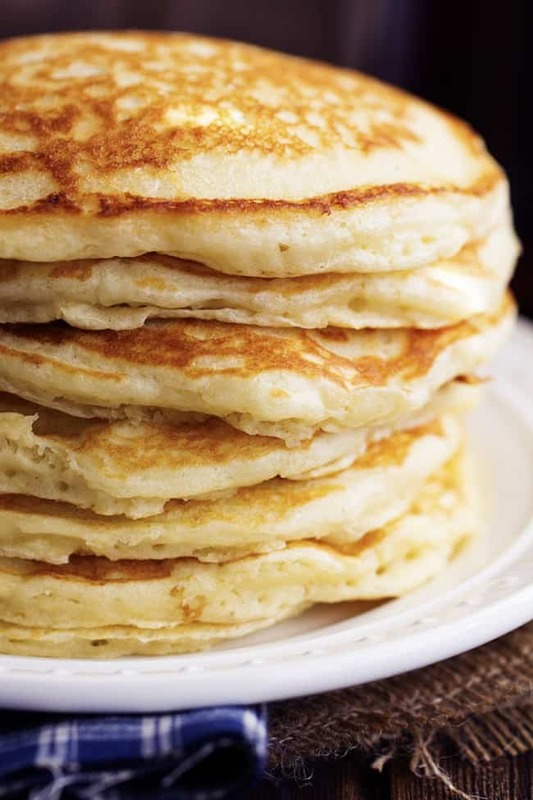 I have been in search of the perfect buttermilk pancake recipe for my family. After trying several I found the best one. It is from the Martha Stewart Cookbook and they claimed it was the best one too! I had to put it to the test. They said that the secret to fluffy pancakes is to not over mix the batter. 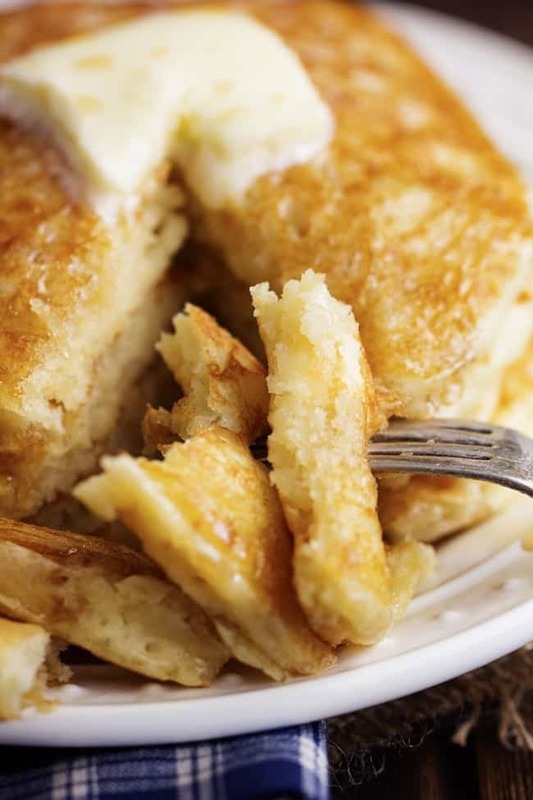 Leave small lumps in the pancakes to ensure fluffy and flavorful pancakes every time. This will be the only buttermilk pancake recipe that you will need! It truly is the best! It is easy to whip up in a matter of minutes and I know that your family is going to love it too! Preheat the griddle to 375 degrees. In a large mixing bowl, whisk flour, baking powder, baking soda, salt and sugar together. Add the eggs, buttermilk and melted butter. Mix until incorporated but leave small lumps in the batter. Spray the griddle with non stick cooking spray. Add about ½ cup of the batter to the hot griddle. Once the edges start to harden and small bubbles form, about 2 minutes, flip to the other side. Cook until golden at the bottom. Repeat with the remaining batter. Serve with syrup or fresh fruit. Makes about 9 pancakes. 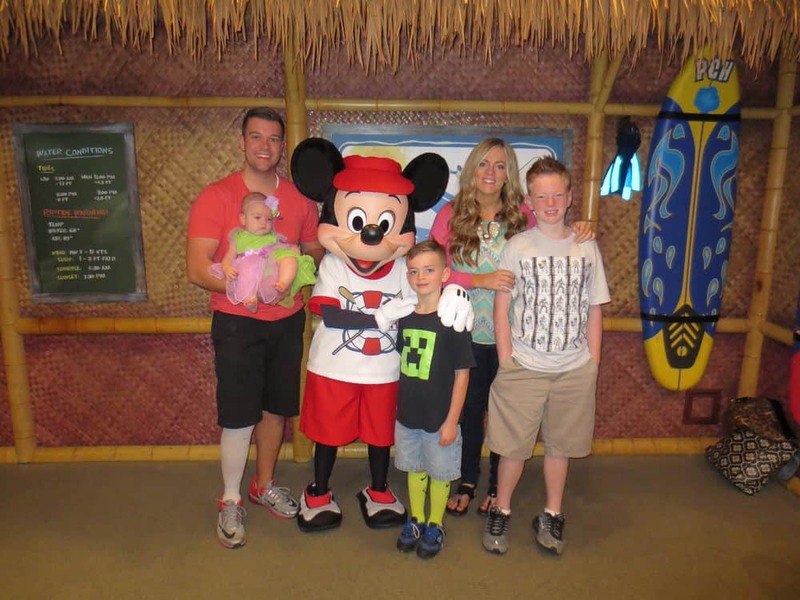 A big Thank you to Disneyland and PCH Grill for a fantastic time! Could you make this mixture the night before and refrigerate to use the next morning? Made these when my friends and i had a sleepover. These were undoubtedly the best pancakes I’ve ever made! Not really sure where I went wrong but my batter came out very very thin like water. I tried adding more flour thinking that might help but it didn’t really make a difference. They came out more like crepes. These are in fact, the best pancakes ever! So much so , they have dethrowned my staple recipe that I’ve used for years. I did only use about 1.5 cups of buttermilk, perhaps a tad more, as I go by the consistencty (I prefer a thick batter). These have that diner-esque flavor and texture to them without the heaviness. Another recipe to find itself in my Favorites Folder!